Over the past few weeks, a number of vehicles have been damaged in the Brue Close / Brue Avenue area of BRUTON. Vehicles have been scratched by someone using a sharp implement and due to the pattern and number of scratches, the damage is obviously not accidental. The owners of the vehicles involved are upset that their vehicles have been damaged and are looking at repair costs running into hundreds of pounds. Damaging vehicles is a thoughtless act and the offenders deserve to be caught. We are hoping for the assistance of the local community to supply information about the damage to the vehicles or if anyone has been seen acting in a suspicious manner around vehicles in the above area, they are requested to contact the police on "101". 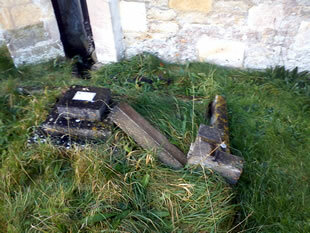 On the 9th September, during a meeting at Templecombe church, water was discovered to be coming through the roof. 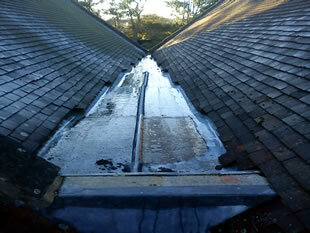 Upon inspection of the Church roof it was found that lead had been taken from the roof of the Church. In addition, in the act of the theft of lead the cross above a grave was broken where the person or persons had climbed up onto the roof. This is an appalling crime. So thoughtless and distressing for the Church and its community. If anyone can help with information regarding this crime please contact Avon & Somerset Constabulary on 101 or Call Crime stoppers on 0800 555 111. They never ask your name and never trace your call.